Lync conference calls are no longer limited to small tables. 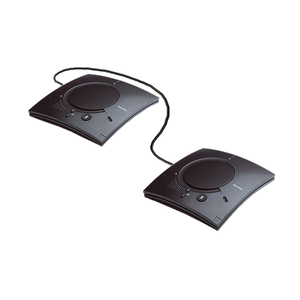 The CHATAttach 170 facilitates USB conferencing for medium and large conference rooms. The CHATAttach conferencing system, which includes two CHAT 170s, enables even distribution of microphones and loudspeakers as well as centralized access to mute and volume controls. No matter where participants are seated, conversations are natural and effortless. A professional audio solution for Lync conference calls located in medium and large sized conference rooms.